Bhindi masala is one of my favorite Indian dishes. 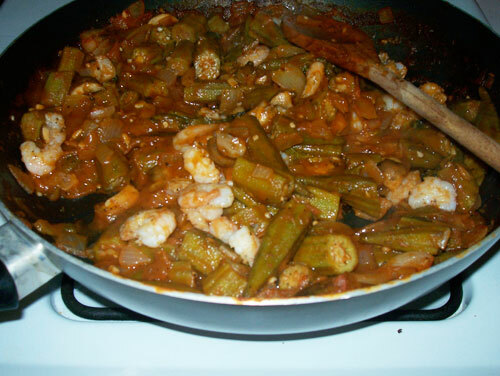 Okra, often maligned in American cuisine, is transformed by the addition of Indian spices into as delicious a vegetable as can be imagined. I ate bhindi masala all across India and became quite a connoisseur: I realized, upon my return to the USA, that I was simply going to have to learn to make it myself. Which I did. And now I will tell you. This is a very simple bhindi masala, a rather half-assed variant on a dish that can get very tasty and rich indeed.